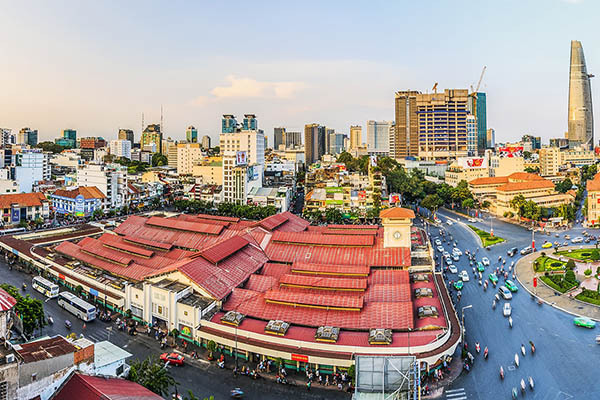 Sai Gon or Ho Chi Minh City is a perfect combination of the old abuts new with striking contrast. There are many obligatory stops in Ho Chi Minh tourist map that the tourists should pay a visit. Following are 10 out of thousands of places to visit in Ho Chi Minh city. 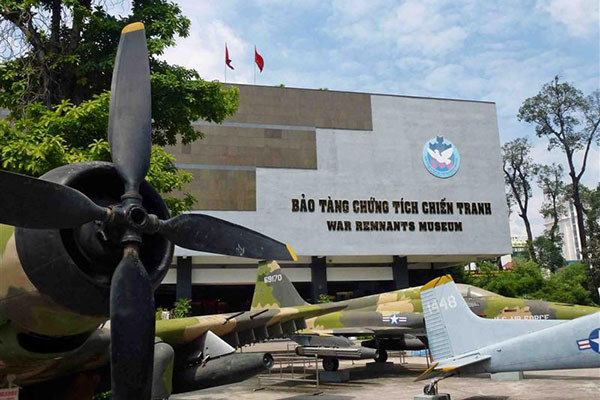 This is one of the most famous museums in Vietnam. The museum primarily focuses on the harrowing exhibits in the horrors of war in this battle-worn nation. Most of them are related with the first Indochina War with French colonialists. Some of them are photographic images while others especially the graphic shots of child Agent Orange victims are confronting. In particular, guillotine and tiger cages which were used for Viet Cong prisoners are shown there. The museum also has some fascinating display on the war photographers. In the courtyard of the museum, visitors can see the military vehicles and weapons. The address of museum is at 28 Vo Van Tan, District 3. 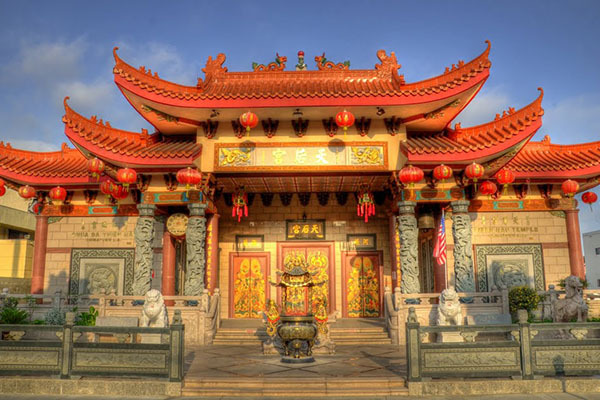 Located in the Chinatown which is known as Chợ Lớn, Thien Hau is one of the oldest Chinese temples in the city, which is a worth-visiting place in Ho Chi Minh tourist map. There are many tourists as well as local worshippers visiting this temple. The materials which are used to build the temples came from China, at the same time, the architecture is affected by China. The visitors can easily catch up with the clouds of incense billow in the air, the candles flicker on altars as well as the shafts of sunlight pierce. Visitors can watch the statues of the goddess, the intricate porcelain dioramas increasing the roof of the 19th-century Chinese life. Tourists can listen to the legend of the goddess and the two turtles. A trip to Thien Hau Temple should not miss the hectic Binh Tay Market. In this market, people can buy anything from Chinese trinkets to other fresh product. People can go to 710 Nguyen Trai Street in District 5 to visit the temple. Located in the heart of Ho Chi Minh City, this is the outstanding example of Neo-Romanesque architecture. The twin square towers with the height of 60 meters and the red-brick cover is the symbol of this bustling city. The cathedral was built in about 6 years from 1877 to 1883. At first, it was supposed to be a place for the colonial missions to worship and the witness of the French colony power. The clock was built in 1887. The important features of the interior there is that the cathedral includes 56 squares of stained glass from Chartres, France, 12 pillars stand for 12 apostles. One of the oldest organs of Vietnam is displayed here also. Moreover, the visitors can go for sightseeing the French colonial-style post office on the cruise over the cathedral. This post office was built in 1891 and its designer is Gustave Eiffel, who was the father of Eiffel Tower. 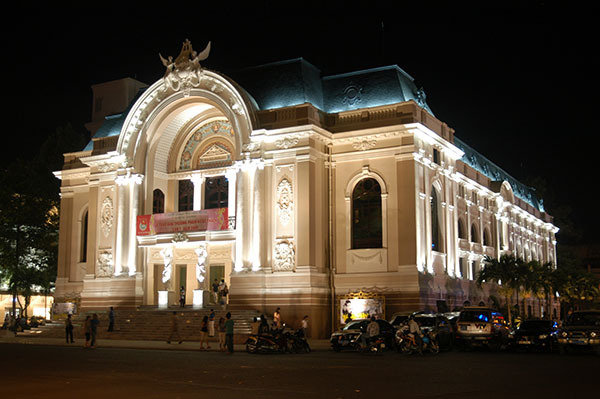 Sai Gon Opera House ỏ Municipal Theatre of Ho Chi Minh City is a perfect place for architecture buffs and the lovers of French colonial style. The house was built in 1897 by a French architect – Eugene Ferret. The house was supposed to entertain the French colonists in the time of war. Therefore, the architecture of French was really obvious here. In 1975, after the fall of Saigon, it became a real theater. Nowadays, people can buy a ticket to go to the theater and see the interior of the theatre. The visitors can buy tickets at the box office or the local travel agents. The nearby place as the Notre Dame Cathedral or Reunification Palace should be visited on the trip to the opera house. Known as Independence Palace, the Reunification palace holds more historic events than any other pomp and grandeur. With Vietnamese people, the palace is the historic witness and the reunification of the country since in the final day of Vietnam war, a North Vietnamese army tank crashed the iron gate, created the end to the war in this country. The palace lies over 44 acres of lush lawns and gardens, which brings the palace a fascinating glimpse about the life of privileged heads of state in 1960s Saigon. The nowadays building was completed in 1966, afterward, the palace becomes the home and workplace of the president in the separation time in Vietnam. Visitors currently can see the military vehicles – fighter jest that destroyed the Norodom Palace and the tank number 843 which rammed down the gate on a fateful day – 30/04/1975. The hot and hectic Ben Thanh Market is another must-see place on Ho Chi Minh tourist map. There are many stalls that sell everything from the local delicacies, flowers, tropical fruits, clothes, fish or souvenirs. The diversity of the products will certainly satisfy people. However, the visitors should be careful with pickpockets, it is crucial to make sure that the valuable things and money are safely kept. Lying in the botanic garden, the Museum of Vietnamese History unveils the cultural evolution from the Bronze Age to the early 20th century. The artifacts of the Vietnam’s former ethnic groups as Dong Son, Khmer, Funan or Cham civilizations are displayed there. In particular, there are many other attractive exhibits as stone and bronze sculptures, Angkor Wat relics…The visitors can also participate in a water puppet show in the theater in the museum. The tourists can take a rest at the botanic gardens after seeing all the museum exhibits. 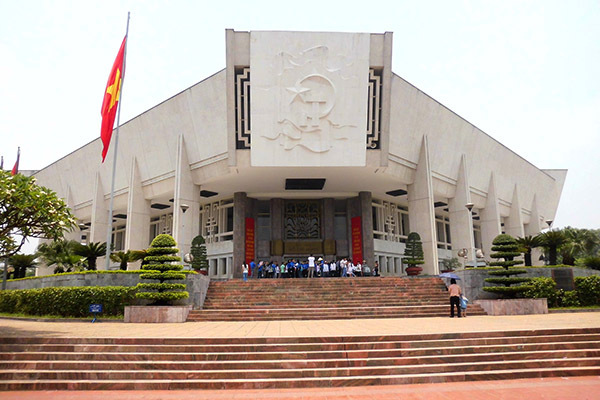 Ho Chi Minh Museum lies near the Reunification Palace and is one of the most tourist attraction in Ho Chi Minh tourist map. At first, the museum’s name is Gia Long Palace – home to the Cochinchina’s governor. Nowadays, with the impressive Neoclassical architecture including Oriental and European flourishes, the museum attracts thousands of visitors coming here to understand more about the history. The museum is proud to be one of the witnesses of the struggle for independence, nature, and culture of the old Saigon. Constructed in the 20th century, Jade Emperor Pagoda or Chùa Phước Hải is a beautiful pagoda which can bring many new cultural aspects to the visitors. In the pagoda, there are many representations of Buddhist and Taoist deities since the temple was built with the purpose in honor of the Taoist god, the Jade Emperor (the King of Heaven – Ngọc Hoàng). Visitors can catch up with many candles and incense shrouding the local worshippers. Furthermore, tourists can see many elaborate dragons and animal sculptures on the roof as well as many turtles on the pond and inscriptions of their shells on the temple’s entrance. Ho Chi Minh is a commercial hub and bustling city of Vietnam. Besides, it also holds the historical and cultural points of itself and Vietnam in the war. Tourists can come here to enjoy the fast pace of life in this city as well as appreciate the special beauty of an unyielding nation.